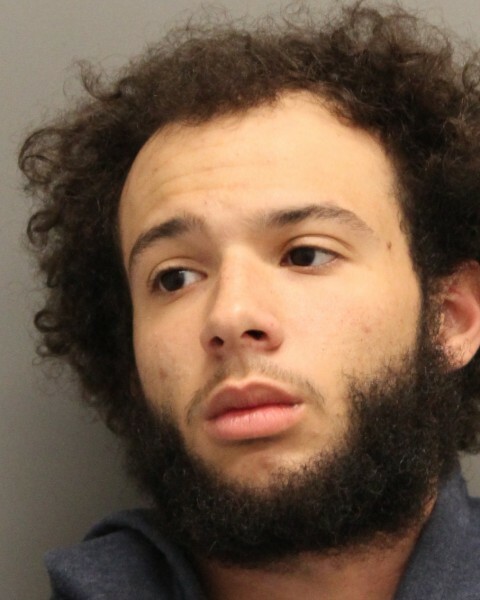 Delaware State Police say they have arrested 20-year-old Jordan Manus of Camden for burglarizing the same Dover area residence three times. The incident took place on Friday around 10:15 a.m. when a witness reported hearing glass breaking and seeing a suspect enter and exit an unoccupied residence in the 500 block of South Old Mill Road on the south side of Dover. Troopers were dispatched when the same suspect was seen at approximately 12:46 p.m. for the second time entering and exiting the residence. Upon the Troopers’ arrival, the suspect had fled the scene. It was discovered that the suspect had broke a sliding glass door in order to make entry into the residence. Troopers were provided with information that the suspect had returned to the residence for the third time at approximately 1:48 p.m. Upon the Troopers’ arrival this time, the suspect was still in the residence and proceeded to flee on foot. The suspect was subsequently taken into custody a short time later. Troopers identified the suspect as Manus and transported him to Troop 3 where he was charged with 3 counts of second degree burglary, resisting arrest and criminal mischief. Manus was arraigned and committed to Sussex Correctional Institution on 8,600 dollars secured bond.